There are no breakdowns contained herein, no exposition on turning point moments, no strategic extrapolation. As Chris Mack pointed out, though the transcription of his post game comments contained a typo, Minnesota was the better team. There are several Gophers that are better than any of the Cardinals, and more that simply played better today in the opening round of the NCAA tournament. As disappointing as it is for the Red & Black Faithful, it was, to be honest, an appropriate finish. The Cards didn’t quit. The Cards weren’t good enough. That’s the deal. Period. 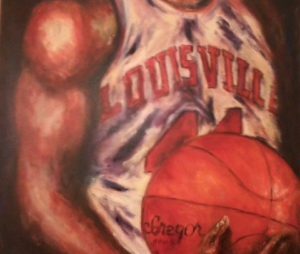 The Truth: U of L’s season was over at the buzzer on February 12, when Duke’s twelve minute blitzkrieg destroyed a 23 point Cardinal advantage. Whatever positivity U of L’s new mentor had been able to cobble together to that point in the season was shattered. Whatever confidence had been engendered by the heartening wins over Carolina, Sparty, the Pirates and the Hokies dissipated when the Blue Devils skipped and hopped with glee off the Yum! Center hardwood. Louisville was never the same. They were a fallen team. From that point on, Louisville escaped with a home W over mediocre Clemson when the Tigers missed a four foot follow at the buzzer, beat a woeful Notre Dame squad twice, and were but hollow men the rest of the time. All false positives aside, this U of L team was never more than an average squad at best. But, as happened Thursday afternoon with all the nagging flaws manifest, the ’18-’19 University of Louisville Cardinals didn’t quit. There are legitimate reasons to believe next season will turn out significantly better. It’s all one can ask. They didn’t quit – true that!. Props especially to Chris Cunningham. He got his NCAA Tourney game, but he tried to will the Cards to a lot more. Best to our grad transfers, and here’s to next year! I had no idea that C.C. was the son of the phen-phen attorney. He was a pleasure to watch and pull for during his short stint as PG. I really hope he makes it whether as a player in Europe, as a coach or even as an atty.